So you’re thinking of renting an apartment, townhouse, villa, or hut on the beach instead of doing the usual hotel thing for your next vacation. The question is where to start and how to do it. I won’t say we’re experts by any means. We have ventured out of the comfort zone that Expedia, Travelocity or Priceline might offer though. An apartment is a great way to stay in a place that is out of the typical hotel district, and maybe something a little more realistic of how the locals might live. We have found fewer vagrants huddled in the streets, locals bars full of life, chatty grocers, and the best bakeries making the experience much more unique and memorable. We have done craigslist. Sure there is always the possibility of being scammed, but realize that for the most part people are good. If you live in constant fear that when you arrive the accommodation you thought you arranged isn’t actually there… you can always resort to a hotel as a back up plan. In Montreal, we rented a great little flat for about 40% of a typical hotel. The guy that lived there was a student from UVic that needed a few extra bucks. He simply packed a few things and moved to his brother’s apartment a few doors away. It was interesting, drawers were full of clothes, condiments were still in the fridge, change was still in a jar by the bed. It was as if this guy completely trusted a total stranger to stay in his place for three nights. It was a great little walkup brownstone-type building in a neighbourhood off a park with fresh crepes and lattes only 20 steps from the front door. You definitely don’t get that in the downtown, commercial districts. Craigslist also worked out well in NYC, where a lady who splits her time between London and NYC decided some time ago to have her father rent out the place while she was gone. The proceeds from the apartment rental went towards the charity her father managed from the first floor of the building. Now, these types of reservations may be a little hit and miss. Pics of places can be a little misleading, sometimes in a good way…sometimes in a bad way. There are never any reviews either, and considering anybody could do it…I guess whoever has keys to our place while we’re away may also be renting it out while we’re away for beer money. Let’s hope that’s not the case as I hate scrubbing other people’s filth. Imagine waking up to this each day? We were in Bermuda back in May, and for that stay we found a place through vrbo.com. One week in a place with few hotel options made a vacation rental near essential. Of the few places noted, we decided to splurge a little and go for a three unit vacation villa rental where the owner resided on the top floor. Reviews were great and the owner was responsive and cooperative… but as a buyer there always has to be a little hesitation. Apparently that hesitation was not required as a driver was there to pick us up from the airport, even with a delayed flight, and everything was included in the rental…all the way down to a loaf of bread, jam and some milk to get us started. Complimentary kayaks down at his little dock as well… sorry, I don’t seem to have any pics of the inside of this place…but what does that matter when you have a view like this. For this trip, we have been using vrbo.com and homeaway.com. Both sites have a wide variety of accommodations and do some vetting of the entrepreneurs advertising their places (of course that vetting may be just extraction of an annual fee, but it’s something to qualify these people as real). Each site also makes it easy to search out an area, check photos of places, and reviews from previous clientele. Reviews seem to be the only real source of information from the web these days, but as with any movie I have been told that I must see, and have been greatly disappointed with…everyone has an opinion and it definitely isn’t yours. When was the last time you mentioned to anyone the hotel you stayed at? How eager the concierge was? What was the star rating was on the hotel? For the most part, people don’t really care about those stories, and if they do…it’s a short conversation. I could say that with our Paris apartment, it was all an adventure. Emailing a deposit to the guy, coordinating collection of the key (secretly duct taped to the underside of the doormat). Discovering no elevator on arrival, and 111 steps needed to be ascended with two overstuffed suitcases. Finally, meeting the owner for a final cash payment. It turns out the guy is just a prof at a local university who has written some whitepapers on coding and how to write apps for the iPhone. Decorating style and cleanliness were not big strong points. Munich required standing in the rain for 20 minutes waiting for the guy to arrive, let us into the building and do the key exchange. 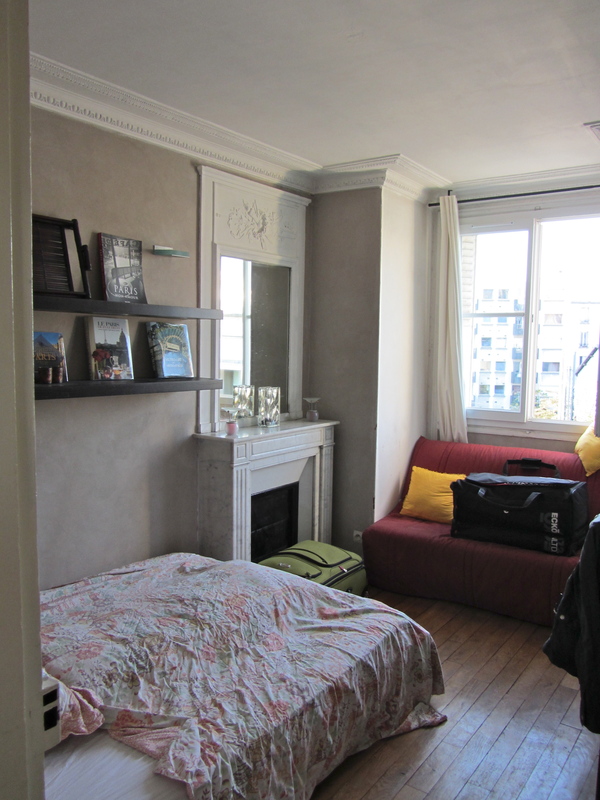 Once again, cash in hand to complete the transaction…but we had a stunning apartment all renovated in the last month. So new the Ikea barcodes were still stck to the bottoms of the dishes. Not all was simple though with the lack of a shower door soaking the entire bathroom every time you rinsed off the grime from a day wandering around town. No bio on the guy, but he was there promptly to deliver any requested items, and was also the cleaning staff when we left the apartment on the final day. A nice experience. Vienna was arranged relatively last minute, with only a few days notice. Another cash transaction this time with no deposit required to even secure the room. Local hotels in the same area were going for 200+ euro/night and we worked out an 80/night deal. Upon arrival, we had a brand new european bathroom on the third floor of an amazingly located building, and a storage bed with a fabric dating back at least three decades. The room was topped off with a chandelier over the bed! When was the last time you woke up thinking you were about to be served for dinner? Bigger than our place at home! Clean! Awesome! Finally, Prague. 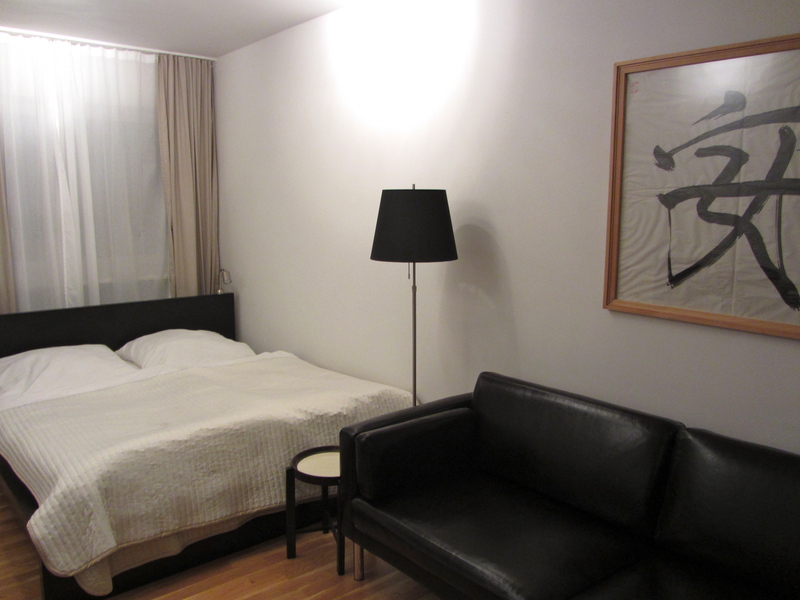 A few apartments found through homeaway.com, which were managed by Prague City Apartments. I haven’t specifically listed the individual vendors above, but feel I must put together a specific shout-out for these guys. Unlike the typical property managers, these guys were always very quick to respond, had updated calendars, and offered several other services such as train or airport transfers for local rates. Prices that were a fraction of hotels, in locations you couldn’t beat. I wasn’t sure what to expect, as everything seemed too good to be true. A price only 40% of nearby hotels. Excellent reviews from previous customers. 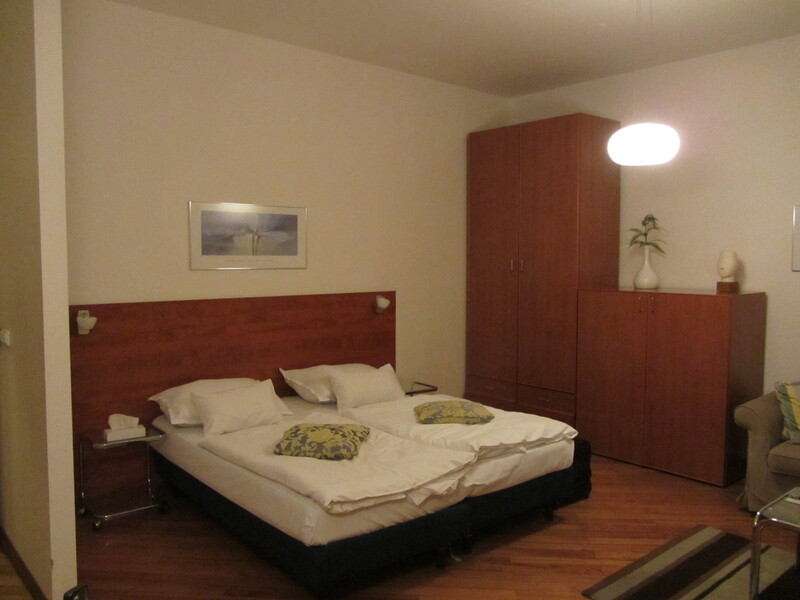 A location only 5 minutes walk from the Old Town Square. All I can say is the company really knows what they’re doing and customer service is number one here. Something we haven’t seen in previous rentals is a maid service…here we have our towels also changed daily. Unprecedented! Even the dishes from breakfast are cleaned on a daily basis. So, this article may be a little long, but is intended to share a little of our varied experience while renting. If you’re a newbie and scared to try it…maybe this will be that push you need. Give it a shot and you may be nicely surprised. This entry was posted in Austria 2011, Czech Republic 2011, France 2011, Germany 2011 and tagged discount vacation accommodation, Munich, Paris, Prague, vacation apartment rental, Vacation Rental, vienna on October 26, 2011 by cstoner.